Steve Perry is attending his last Applecross Rotary meeting for quite a while. He’ll be back in August and will plan on staying until Christmas. He has sold his house so when he comes back he’ll be looking for some house sits. Mark the meeting on 23 April as a must attend. Please bring guests. Honorary Member Dr Chris Back will reflect on his family visit to the opening of the Sir John Monash Centre at Villers-Bretonneux in northern France in April 2018, by the Governor General of Australia and the Prime Minister of France. Chris’ wife Linda will be attending the meeting too. Their younger son Justin was a former Rotary Exchange student to Belgium. Chris and Lee Whelan will be joining Applecross RSL for their Dawn Service at 5.45am on 25 April and would like other Applecross Rotary members to join them. Chris describes the event as very local, very simple, and real. 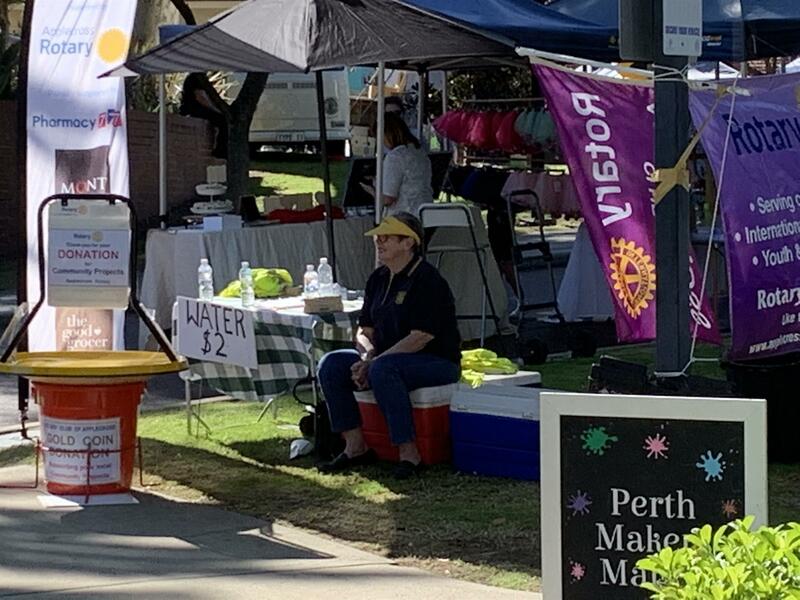 Lots of locals turn up so where your Rotary shirts if you can. There’s a hot breakfast afterwards. Address is 96 Kintail Rd, close to Ardross St.
NEXT WEEK’S ROSTER: Peter McEwen will start his apprenticeship on the Welcome Desk with veteran John Henderson, while Logan Duncan-Smith will host the mob from Telethon Speech and Hearing Institute, and Gordon Dunbar will get another crack at setting up the meeting room..
Noeleen Mazza was happy to have celebrated another birthday yesterday and Bruce James is ready to celebrate Helen James’ big day next Monday. Tony Haeusler is not sure how he got asked to show his happiness for being a Rotarian for 27 years last week and again today for 28 years! President Ian described it as one of those Rotary mysteries. Cross-town footy rivalry continues to boost the coffers with both Dockers and Eagles fans happy with the weekend. Jim Truscott OAM is a civil engineer, climber and crisis practitioner. Throughout his 40-year career in strategic and operational environments he has held central leadership roles within multi-disciplinary teams over a diverse range of high-risk enterprises. He founded Truscott Crisis Leaders after the Sydney Olympics in 2000 growing it into international resilience consultancy now operating from 9 countries with clients in 44 countries. Prior to becoming a consultant Jim was the Operations Officer in the Special Air Service Regiment where he controlled very-short notice activities to protect Australia’s international interests. Jim had a lot to tell us, and fortunately he dealt with this by sending two reports, which were circulated to all members on Monday. They are well written and worth reading. 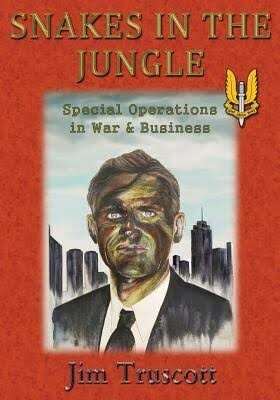 Jim says Snakes in the Jungle contains the memoirs of a special operative in war and business. Operations in war time are all about crisis management. It is akin to a sales manual for merchant adventurers at the juxtaposition of military and economic warfare. Written in the same vein as ‘Sun Tzu Was a Sissy, The Real Art of War’ by Stanley Bing, it will be enjoyed by readers interested in autobiography, SAS, war, adventure and business. People like reading about human foibles in barracks and boardrooms. The first part is historical and biographical and the second part is philosophical. There are few books written by former SAS officers on history, war, adventure, family and business. In the Judeo-Christian tradition the snake is an evil idea, a sneak, a liar, one hundred percent bad but in China a Taipan is literally top class or big shot used for a senior business executive or entrepreneur. In my case Taipan was my clandestine guerrilla warfare name. Up until now few people knew this. East Timor Roofing was established as a Rotary project in mid 2000 by Rotary Clubs of Doncaster 45%, Melbourne 45% and Lilydale 10%. 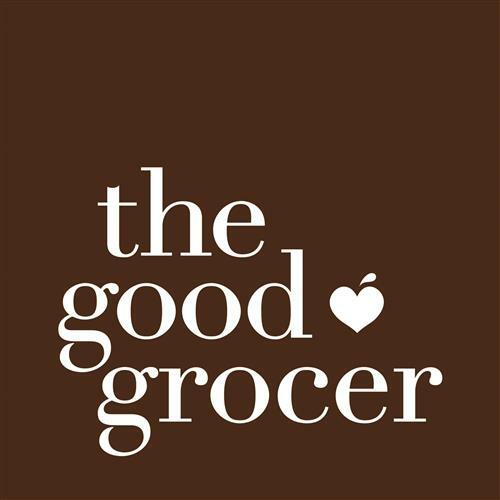 The intent then and now is to provide training and opportunities for the people of Timor Leste to help them help themselves to greater sustainability as a nation and as a people. From a start of “zero base” the operation is now a fully established incorporated limited liability Company in Timor Leste. The project was allocated an old market site in Baucau by the original United Nations Administration and now has a large fully equipped factory on the site with machinery to roll flat steel coils into corrugated roofing iron, purlin section, wall frame stud and track, and guttering. Other roofing products manufactured are pre-fabricated roof trusses, as well as water tanks and more recently grain silos. The factory has been expanded substantially since inception and has recently installed a new purlin rolling mill to produce lighter roof and wall frame sections to complement the existing product range and equipment. East Timor Roofing has an East Timorese manager resident manager with the overall management of the operation overseen by a Board of Rotarians in Melbourne. All other staff are local East Timorese people trained in the various facets of factory operation and they are supported by an Australian experienced building expert. Shortly the operation will be transferred to Dom Bosco who will continue to operate the facility for the benefit of the East Timorese communities. The Australian Rotary Health Autumn Update 2019 has now been published. It contains information on our supporters, researchers, and upcoming events. 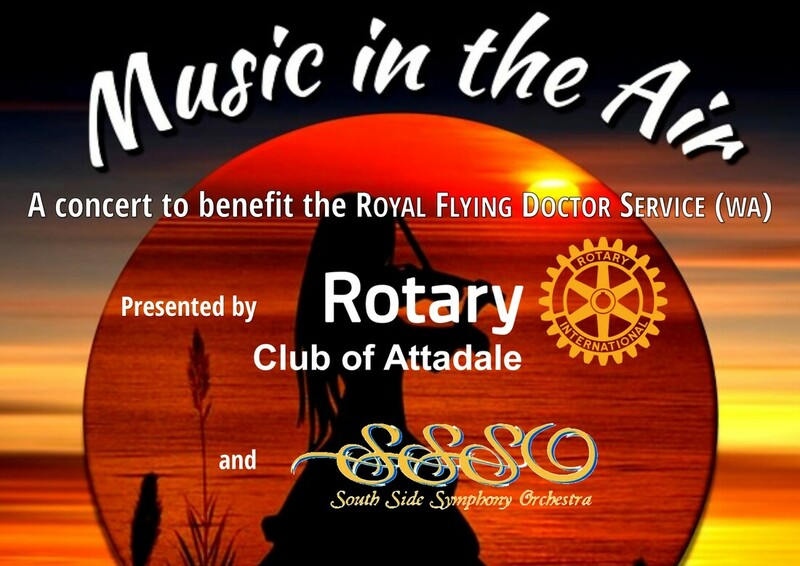 Liz is organising an Applecross Rotary Group booking. Let Liz know if you are interested in attending.